Fixer Upper with LOADS of potential! 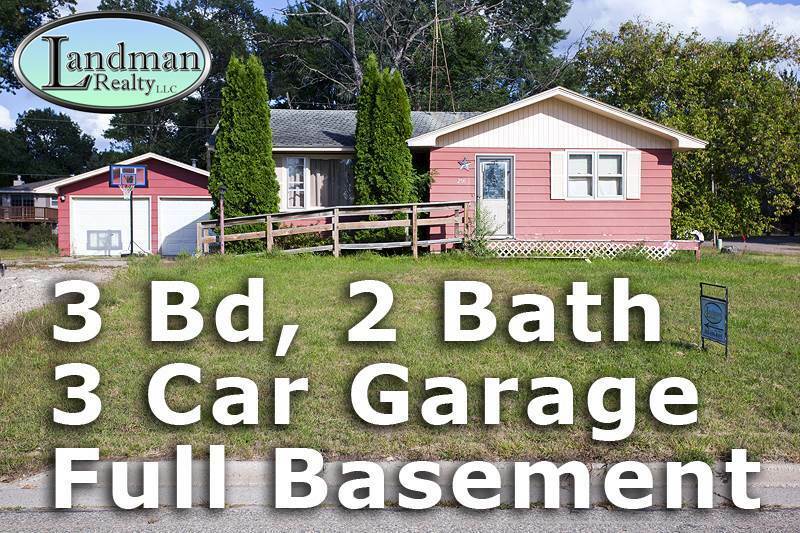 This a 3 bedroom, 2 full bath home with a 3 Car Garage on 3 corner lots totaling about .43 acres is located in the City of Adams. It also has an unfinished basement giving you an additional 910 square feet of storage space. There is shopping, health care, schools, parks, Friendship Beach, airport & restaurants all nearby. The area offers farmers markets, public land, trout streams, Roche-A-Cri State Park with hiking trails. Minutes from Castle Rock & Petenwell Lakes & a 30 minute drive to the famous Wisconsin Dells. Priced well below Fair Market Value-$77, 200! Directions: From Friendship:south On Main St. Left On Liberty St. Right On Pierce St. On Left. Items Included: All Appliances, Furnishings In The House.